Ten years ago, I was convinced that politics, in the form of China’s internal system and place in the world, was set to overshadow the comparative trivialities of sport at the Beijing Olympics. Thank the lord, Messrs Bolt, Phelps, Hoy and Co. had other ideas. They produced levels of performance under sustained pressure that swept all distractions aside and could only be marveled at. Usually with the Olympics, this is the way that it is. It may take a while before story-lines related to geopolitics, or white elephants, or empty seats are banished to the shadows. But eventually the athletes and their quest for excellence assume their rightful place in the spotlight, ushered in by viewers’ natural inclination to wish their compatriots well. Pyeongchang 2018 may yet be the same. After all, as a wise man once observed, the Olympics are the world’s most solipsistic event. As is the great strength of multi-sports extravaganzas, there is a story for just about everyone. In the UK this time, it will probably be a toss-up between Elise Christie and another deliciously glacial curling epic. The whole world might rarely be agog at the same Olympic spectacle, but it is regularly agog at different Olympic spectacles at the same time. Pyeongchang 2018, as I say, may yet be the same – but I wouldn’t bet on it. The problem is, it has taken a geopolitical story – North Korea, obviously, and its apparent decision to take a step back from its dangerous game of nuclear brinkmanship – to trigger any worthwhile sense of anticipation and to divert attention from the dreary and opaque Russia saga, which has displayed sport in anything but an inspirational light. 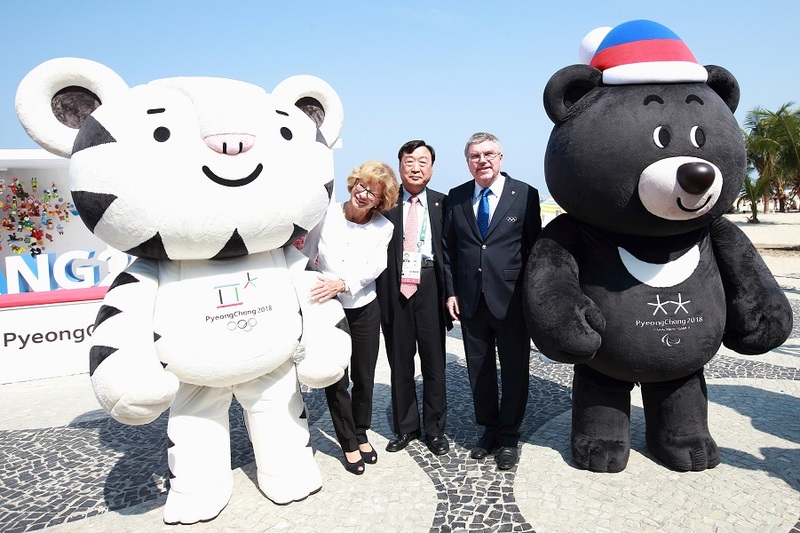 This should admittedly ensure a positive spin on the Opening Ceremony, with the Korean delegations marching in together – again – and spawning a deluge of feel-good images across global media. Though perhaps too ritualistic and choreographed for some tastes, this is not a development that should be sniffed at, since the Opening Ceremony, though not exactly sport, will probably be the most-watched bit of the Games. The potential pitfalls are best illustrated by ice hockey. Of course, media teams will now flock to the opening Group B clash in the women’s tournament on February 10. Will this be because of any intrinsic interest in the sporting spectacle? Not really: most lenses will be trained on North Korean members of the pan-Korean team, along with whichever political bigwigs and International Olympic Committee (IOC) notables happen to mosey along. The peak of interest will probably come when the first North Korean skater hits the ice; many media representatives will probably exit long before the end. Even if this publicity burst drives interest in Olympic ice hockey beyond this one charged episode in this one match, what will curious viewers witness? Well, with the National Hockey League (NHL) deciding against participating for the first time in 20 years, there is a danger – though patriotic fervor may click in – that they will see an undercooked men’s competition at what is supposed to be a pinnacle sporting event. We also know that sporting balance has been subordinated to politics via the decision to accommodate the North by adding 12 players to the existing South Korea women’s squad. Sadly, Kim Jong-un’s U-turn came too late for a genuinely integrated team to be constructed, and it would have been a bit of a sickener for South Korean squad members had they had to be told this late in the day that some of them were, after all, surplus to requirement. Yes, if given the choice between nuclear catastrophe and a 35-woman Korea ice-hockey squad, most of us, including their opponents, would plump on balance for the latter. However, it does leave the competition open to the charge of being a bit Mickey Mouse. Imagine if it were announced that in the interests of civic harmony in the city of Manchester, City and United were forming a joint squad for the remainder of the Champions League. This squad would be formed by adding José Mourinho and 12 United players to the existing City squad. Pep Guardiola remains responsible for team selection, though he must pick at least three United players for each match. Absurd? Of course, but that’s the point. NHL players are not the only elite athletes who will be missing from Pyeongchang. A host of big-name Russians, across a range of disciplines, will also be absent. 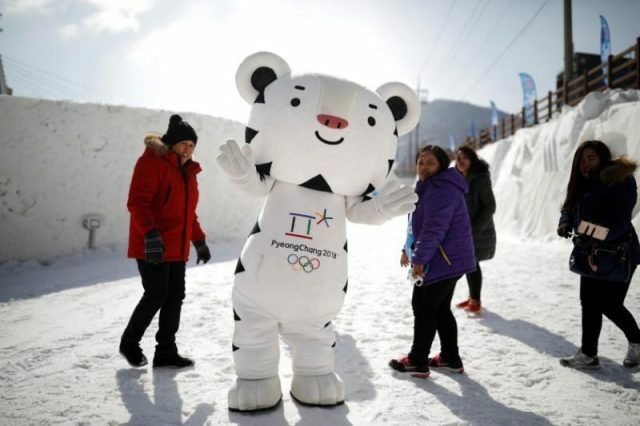 While most sports fans seemingly applaud this – the IOC, indeed, has been roundly criticized for not being nearly tough enough having been made a fool of in Sochi – their absence will also affect the caliber of competition in Pyeongchang. Nobody wants to see drug cheats or other rule-breakers, from any nationality, prosper. But we sports fans can be a fickle bunch: if the flow of world records dries up, we may get bored and turn for entertainment elsewhere. And, goodness knows, there is plenty of competition, from Champions League football to Six Nations rugby union and – splintering hockey sticks! – the NHL. The Asia time-zone is, in any case, a bit of a challenge for European and North American broadcasters. So, yes, it is nice to think that the Olympics can help make the world a better place. Ultimately, however, Korean – and other world political – leaders will determine the peninsula’s destiny, irrespective of who marches with whom under what flag at the Opening Ceremony of a sports event. What will determine the Winter Olympics’ destiny is the caliber of the sporting, not political, action.